COMES COMPLETE WITH EVERYTHING YOU NEED TO PULL POST & CONCRETE PLUG. 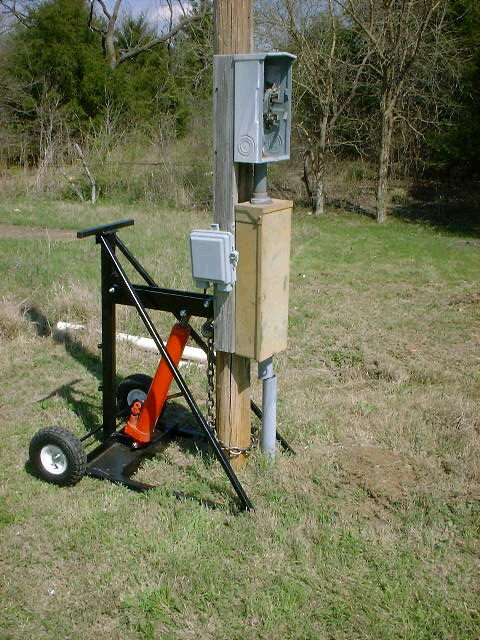 IF POST IS BROKEN AND JUST THE PLUG IS LEFT IN THE GROUND USE THE "CLAW" PLUG PULLER. ** Please call us for any questions on our hydraulic post puller rentals in Fairview Heights IL.